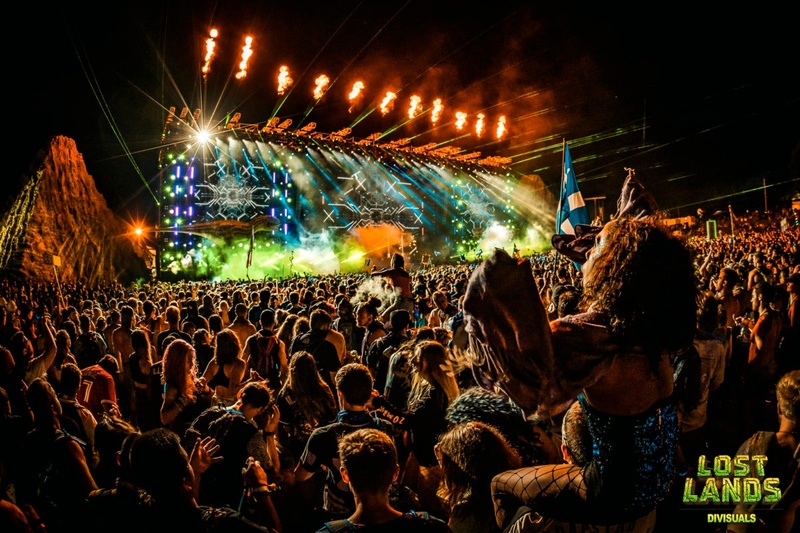 Lost Lands Music Festival proved to be another successful and historic event for both the Excision camp and PK Sound. 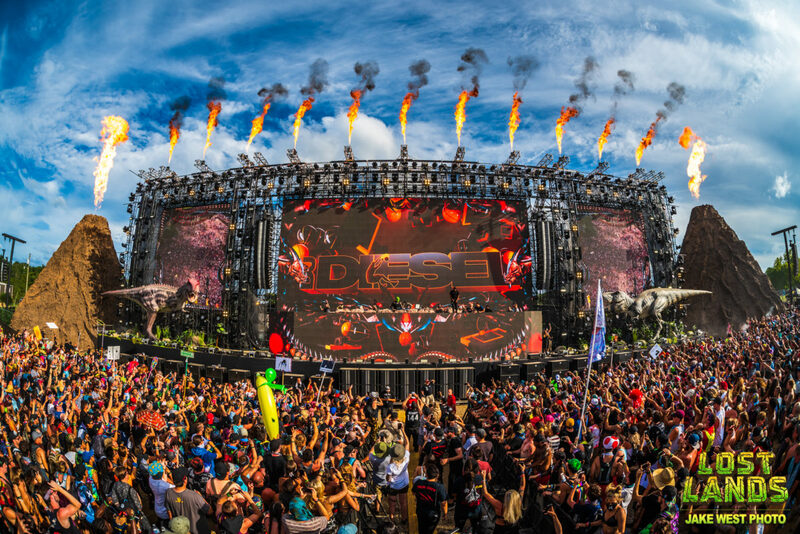 With a Jurassic theme popularized by producer and festival-director Excision, it featured massive interactive dinosaurs and volcanic pyrotechnics. 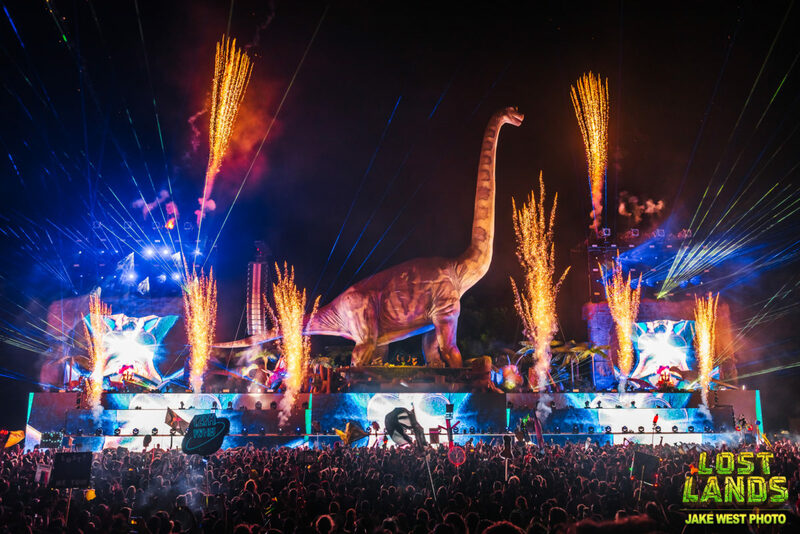 With over 35,000 people attending the event, Lost Lands once again made PK their exclusive large-format audio supplier. The annual event held in Thornville, Ohio also brought many of the world’s most popular heavy-electronic performers. Totalling over 1-million-watts of total sound, it became the largest ever deployment of PK Sound featuring (104) PK TRINITY Large Format Line Array speakers with (96) PK CX800, (12) PK GRAVITY 30, and (16) GRAVITY 218. PK’s large-format Trinity sound system was the focal point of the two-stage setup. Both stage designs had pairs of 14-speaker Trinity arrays, with 8-speaker Trinity field delays set at 200 ft. Additional Trinity out-fills to the left and right of the main stage provided extra coverage for VIP and ADA guests. Once flown, proprietary 3D Wavefront technology allowed engineers to robotically customize individual Trinity speaker positions within the arrays to optimize coverage at each stage with crowd depths exceeding 1000 ft. while avoiding sound clash between simultaneous performances. The subwoofer deployment at the main stage relied on (12) PK GRAVITY 30 running 15,000 watts each in addition to (52) CX800 2000w Dual 18” Extended LF Subwoofers to create a 200’ sub-wall. The second stage also featured stacked dual 18” subwoofers using (16) PK Gravity 218 and (52) CX800. 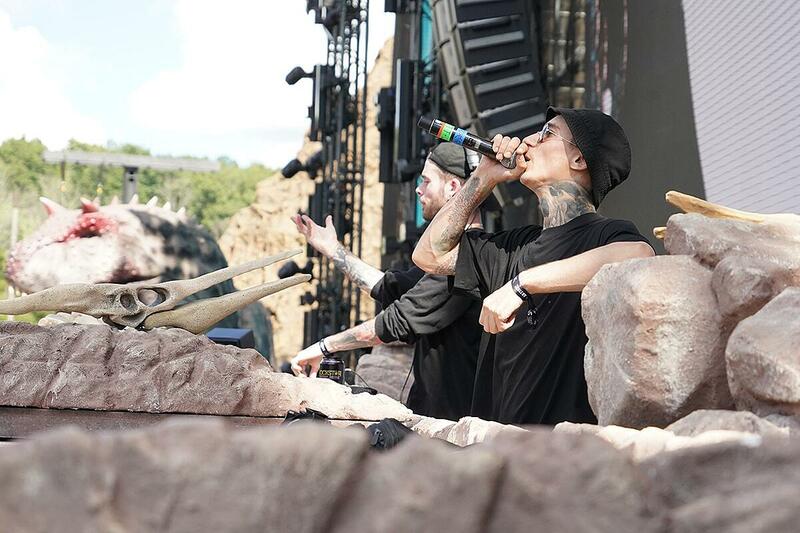 Lost Lands also featured a secondary PK loadout for all 6 “Sound Camps” inside the festival for more intimate late-night performances. These stages used a total of (48) PK VX10 as low-hung arrays paired with (36) CX800 subs. Making use of the Trinity’s proprietary features was integral to the system engineer’s efforts to build a custom soundscape for the event. Overseeing operations were Front of House Engineers Rory Stewart & Kyle Pace with system design led by Arlen Cormack. DigiCo SD11 Digital Consoles along with PK’s Kontrol System Software allowed Cormack and his engineers to actuate Trinity’s horn-flares for ideal directionality while being flown from both stage rigging positions and truss towers for their field-delay positions. The capacity crowds and towering stage designs stretching over 200 ft. high and 400 ft. wide provided an ideal opportunity for PK’s largest ever loadout to meet high expectations of listener and producer alike with immersive sound embedded in an equally large stage production. Trinity array speaker customization eliminated the need for extra fill placement. The use of both Gravity 30 and Gravity 218 Subwoofers allowed stacked placement with more effective output compared to traditional dual 18” subwoofers, leading to an equally space-efficient footprint that allowed for the historically large amount of audio on just two stages. WANT TO KNOW MORE ABOUT THE TRINITY 10? CLICK BELOW!